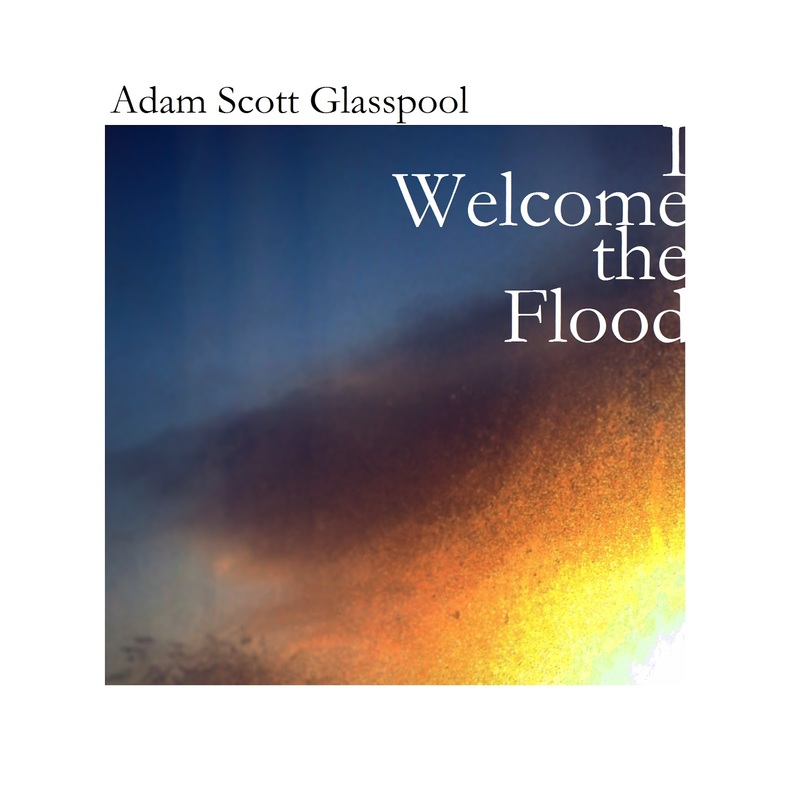 Adam Scott Glasspool releases his second EP I Welcome The Flood on February 15th. We've tipped the title track on Shell Zenner's Amazing Radio show this week and caught up with Adam to find out a little more about him, the five-track EP and his plans for the rest of 2016. First of all, can you introduce yourself and tell us how you got into music. Yes. Hi! I’m Adam. I started learning guitar at about 16 and started a band with some friends before I could really play or sing properly. We all kind of learned together, which was nice. That band lasted four years or so into Uni and then we all kind of moved away and it became untenable. That was an alt. rock sort of noise. And while I was doing that I was making some weird electronic ambient stuff on the side. When the first band broke up the guitarist and I continued with that and made an odd electronic disco album that nobody has really heard. We never worked out how to play it live, really. So, to step away from having to organise five people every time we wanted to do something, or the complications of playing electronica on analogue instruments live, I decided to do something simple and stripped back. Which is what this is. 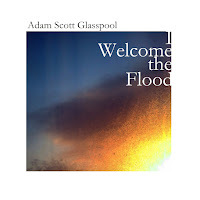 The track we've chosen to feature on Amazing Radio today is I Welcome The Flood, the title track from the EP. Can you tell us a little about what the song is about? Umm... I hadn’t given that much consideration. A lot of my lyrics are improvised while I’m recording the demo of a chord sequence I like. Or I have a jumping off point of some notes I’ve made in a notebook or my phone. This one I had notes for on my phone, and the chords sorted, and I hadn’t recorded a demo yet, but I did play it live with my phone in front of me and improvised probably around 75% of it there on stage. Then I honed it in subsequent live performances until I had the finished version, which I recorded without a demo. I hadn’t done that before, so that was new. Knowing when I was writing it, and what I was thinking about at the time, it’s partially about when dissatisfaction meets apathy. And tell us a little more about the other tracks on the EP and when and where it was recorded. It was written and recorded over about 6 months. But like, really really sporadically. I would come up with a sequence of 3 or 4 chords that I liked, or a line of lyrics or something, but then that would be it. I had the title track and Pace Car Driver written and I was performing them live, but I didn’t know how to record them. And because I was playing live so much I never really had the chance to sit down and sort out what I was doing, so I had all these fragments of lyrics on my phone and chord and note ideas on my laptop but they were all disconnected and separate. I spent most of December pulling these threads together and making cohesive songs. I recorded the two I knew first, which gave me the mood I was aiming for, I think. But I also had a release date in mind and was locking down the venue for my EP launch, and I was banging my head against the wall in terms of recording the missing pieces. So when I announced the EP and the gigs and everything I still had 3 songs left to bring together. Hunted came together pretty quickly, I had the idea for the notion behind that one for a while. All It Ever Was came from nowhere. I record everything by myself, so I’m able to just pick it all up when I need it, which is nice. You're going out on the road to support the release of the EP. Will this be your first tour and where are you excited about playing? This is my second full tour proper, although I never really stop travelling around the country to do shows, so I’m kind of constantly on tour. I’ve had the last 2 months off, so I’m itching to start again. I’m excited about the whole thing, of course. But I guess Newcastle, because I haven’t played there before - Oxford is the same. And also Liverpool. The last time I played in Liverpool wasn’t great, so I have some unfinished business there, I think. Will you be continuing to play solo or have you been looking at putting together a live band for shows? I’m actually starting to think about adding some personnel. I’m going to start recording again soon, so I’ll have to see what services the song, but I can see me going in that direction at some point. The songs at the moment don’t necessarily need a band. They have multiple guitar parts, but I handle that with my loop pedal. And my little drum machine sometimes. What else have you got planned for 2016? More recording. More live shows. I can see me releasing another EP before the year is done. I’m playing some festivals, which will be nice. Going back to Glastonbury I think. And one final question, how would you describe your music to someone who has never heard you before? Hmm... slow, sad alternative folk music best consumed with a glass of wine. I don’t know, I have no bearing on what I am doing. It’s probably fairly niche though. Everything I think everybody is going to love usually appeals to about three people. Adam plays the following dates in February to support the EP's release on iTunes and Bandcamp on February 15th. Adam is on Facebook, Twitter and Bandcamp.